Cozumel has been one of those places I have only experienced as a day tripper, either from a cruise ship, or off the ferry from Playa del Carmen. And while it seems to be most popular with those brief visitors, I decided it would be worth it to spend a week there, to get a better feel for the place and what it offers. We opted for all-inclusive resorts, as it was an unbeatable value, and we always loved the convenience of having our meals and drinks available and unlimited at the resort. 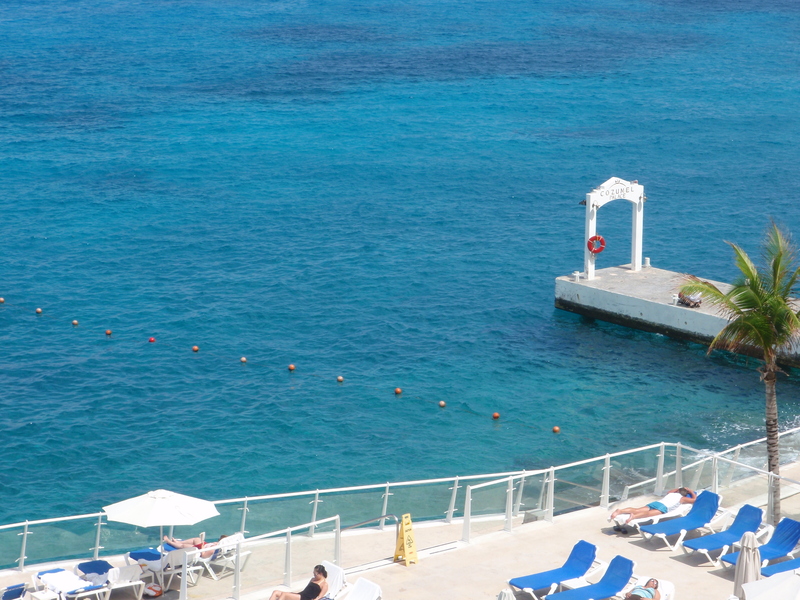 We spent the first few nights at Cozumel Palace, a luxury resort close to downtown. The accommodations, dining, and service here were top- notch, with marble everywhere, and a highly attentive staff, it felt like 5 star quality. A Jacuzzi in every room and stunning ocean views made for a romantic setting. While the resort lacks a beach, it does offer decent snorkeling with easy ocean entry just off the vast pool deck. Here we were walking distance to the downtown plaza, and had easy access to all of the nightlife that town offers. The most popular places for the younger set were Carlos & Charlie’s and Senor Frog’s, as well as a few Latin style clubs offering live music, where we gravitated. You are currently browsing the South Pacific Vacations' Weblog blog archives for April, 2010.